Each year, medical misdiagnosis results in over 40,000 deaths per year. That’s essentially the same figure as breast cancer fatalities. Overall, misdiagnosis may affect up to 20 percent of all medical cases, a number that far exceeds surgical mistakes and medication errors. 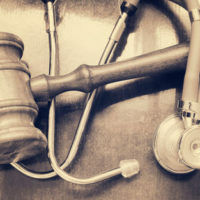 Despite these statistics, doctors have done little or nothing to stem the rising tide of medical misdiagnosis, so a personal injury lawsuit may be the only way to protect yourself and your loved ones from this insidious form of medical malpractice. In many cases, lack of attention causes misdiagnosis. In one study, doctors allowed their patients to speak for an average of twenty-three seconds before cutting them off or redirecting them. In that amount of time, the “diagnosis” is usually just a confirmation of the doctor’s pre-existing belief about the patient’s condition. The situation is particularly acute if the patient does not fit the “profile” of someone with that condition. For example, if a patient does not smoke, the doctor will hardly ever diagnose lung cancer, even if the symptoms are there. Similarly, a doctor will almost never diagnose breast cancer in men. Most doctors rush patients through their appointments for financial reasons. To maximize revenue, most doctors schedule as many patients as possible in a day. Similar pressures affect diagnostic test procedures. Many doctors do not order a full battery of tests if they believe they know the patient’s problem, because they fear that the insurance company will refuse payment on the grounds that the test was medically unnecessary. In other offices, doctors rely on lower-paid technicians to interpret test results, and their opinions can be wrong or can get lost in translation. Since the financial pressure affects both back-office test procedures and doctor-patient interaction, it is little wonder that the most commonly misdiagnosed conditions are all ones that are somewhat difficult to identify. Cancer: There are usually no telltale physical symptoms for most forms of cancer, which is probably why it is misdiagnosed about 44 percent of the time. Heart Disease: Chest pains are often dismissed as indigestion or anxiety, and without prompt treatment, heart disease is even more fatal. Depression: These patients often have a hard time getting help from their primary physicians, who often label depression symptoms as a bad mood or a phase. Strokes are commonly misdiagnosed as vertigo or even intoxication, especially in younger people with no obvious risk factors. Medical malpractice victims often need emergency corrective surgery to address their real problems. Victim/plaintiffs are entitled to compensation for these and other economic damages, along with money for their noneconomic damages, including pain and suffering. Moreover, many jurors order doctors to pay significant punitive damages in these cases. Medical misdiagnosis affects millions of people. For a free consultation with an experienced personal injury lawyer in Brandon, contact Reed & Reed. An attorney can arrange for victims to receive ongoing medical care, even if they have no money and no insurance.